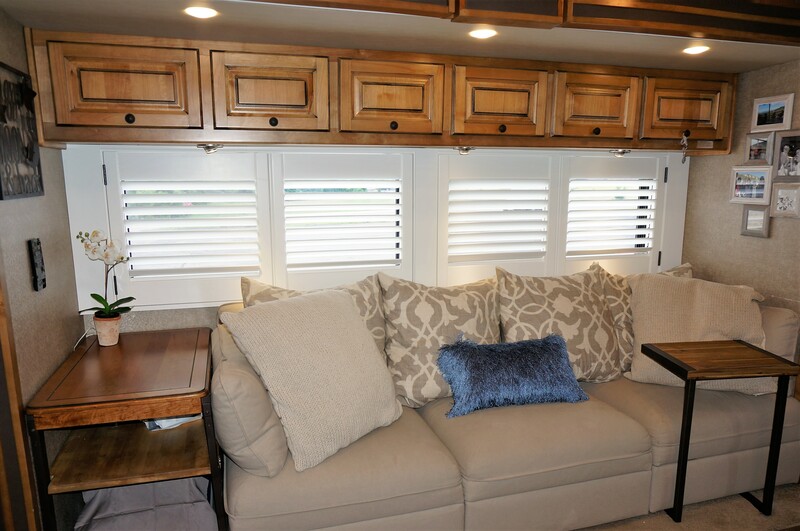 With RV living becoming a fast growing trend, make your RV more like home with Custom RV Shutters! 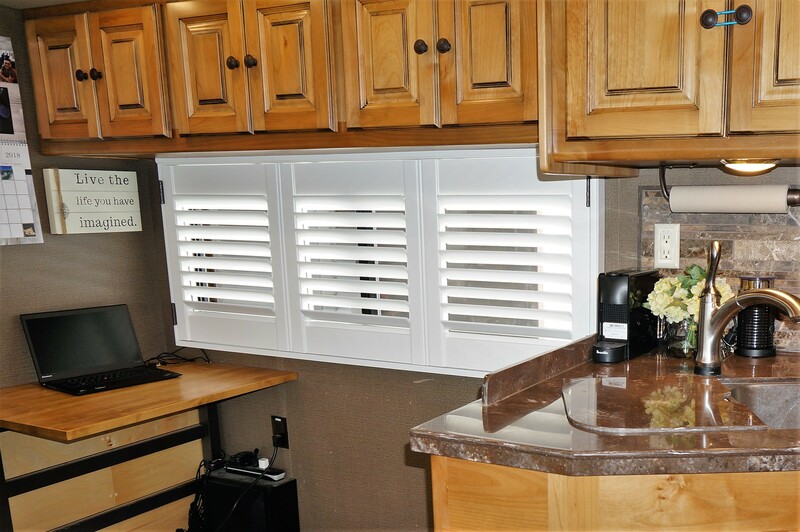 Over the last few years we have seen a growing number of requests for custom shutters for RV’s. 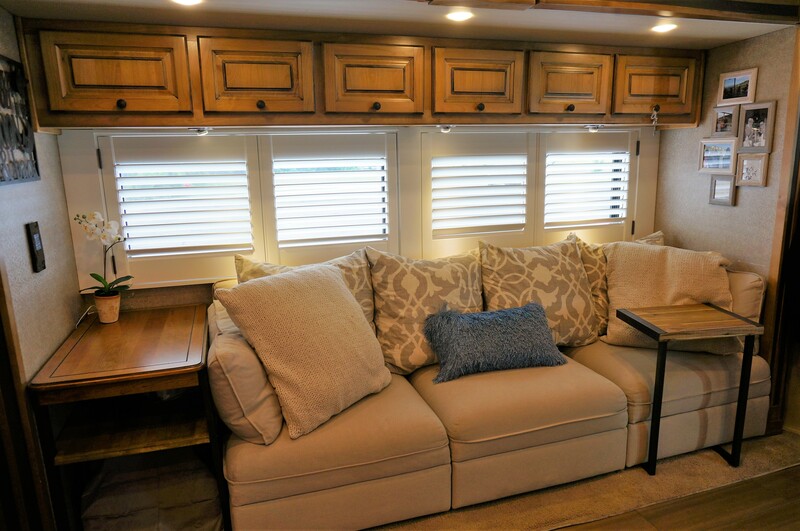 If you have spent any time in an RV recently you will recognize that even though its a home on wheels, it just doesn’t feel quite like home until you’ve done something to make it feel like home. For example, adding custom window treatments. When an RV feels like home, any adventure can be outside your front door! From talking with others who live full time in an RV, they all talk about the personalization of their home. Without making a house a home, it just feels like you’re constantly living in a hotel. This has caused many full time RV families to throw in the towel. When you make the RV your home it completely changes the mood and feeling in such an amazing way. One major thing to consider when adding your custom additions is to think “functionality first”! If your custom addition takes up too much space and/or provides little to no function to the home you may end up regretting your flair down the road. RV living has several stark differences to living in a traditional dwelling with usable space being the most noticeable one. Another one is learning the different dynamics of heating and cooling. This is where function can find a perfect harmony with custom flair and personalization. Having window shutters installed in a traditional house can help with energy costs and its no different for RV’s! 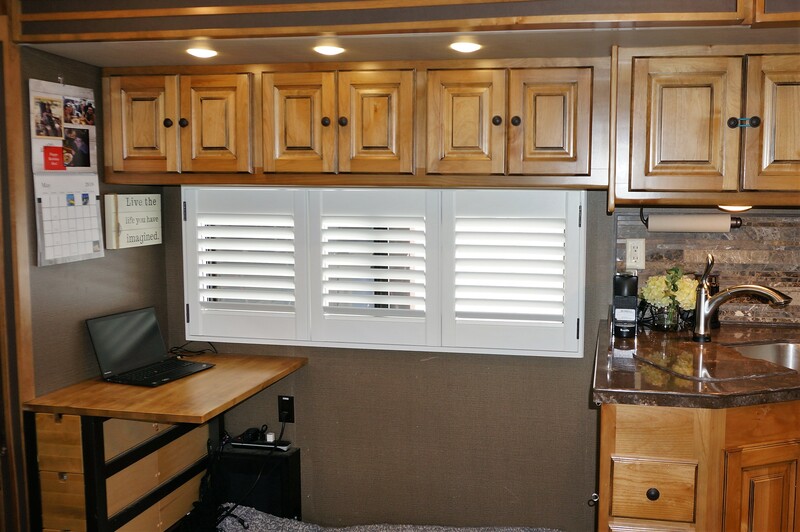 If you are looking to add class and quality to your RV, nothing does the job quite better than custom shutters. As you can see from the pictures in this article, they add such a “right at home” feel. So now that you’re interested, how does this all work to inquire? It’s simple really. 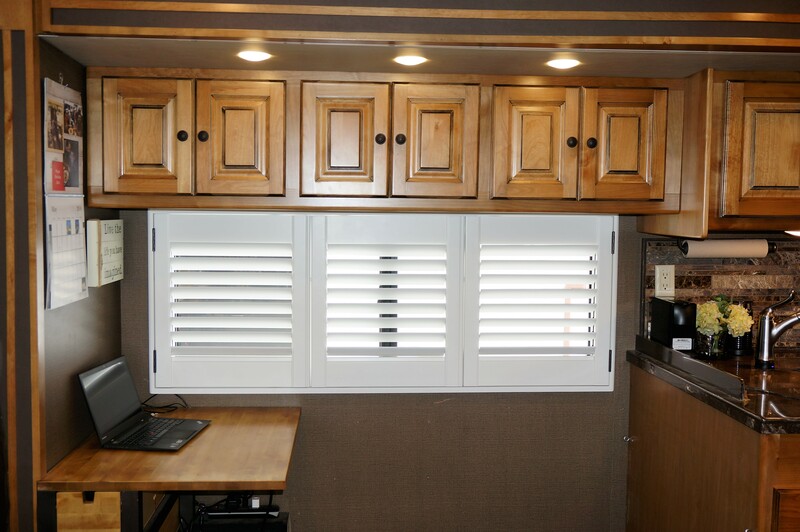 If you are interested in adding custom RV shutters here’s the process. Give us a call and we’ll walk you through how to get the measurements needed to give you a quote. It’s so easy we can give you step by step instructions over the phone. After getting the measurements we’ll give you a price to work with. If we have a deal we’ll get the order placed and start making your order. When the order is complete we have 2 options for installation. If you can’t make it by we understand. We can ship the finished product to you for installation, but know that since we were not there to take the measurements and make adjustments in person for any error that needs corrected you may not get the desired outcome. If you can make the drive we promise to make it worth the trip with the quality installation only we can guarantee. It’s really that simple! 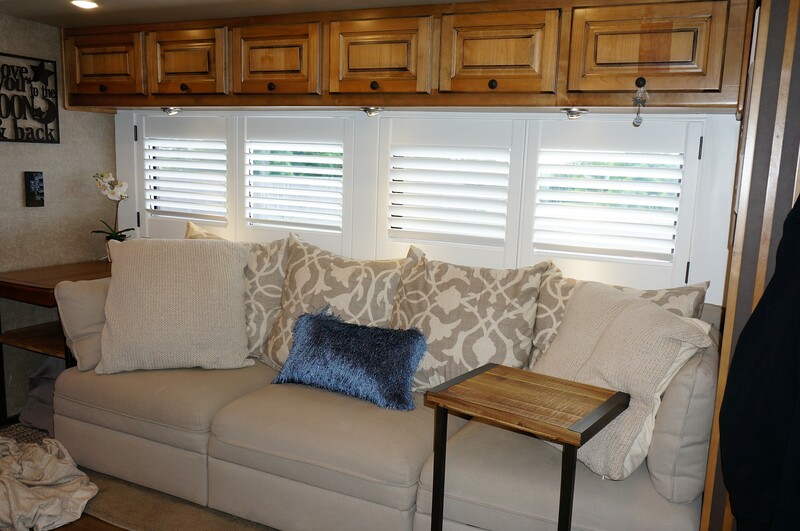 We hope to hear from you soon with ideas for you custom RV shutter project! Click Here to read about Kirtz in the news! 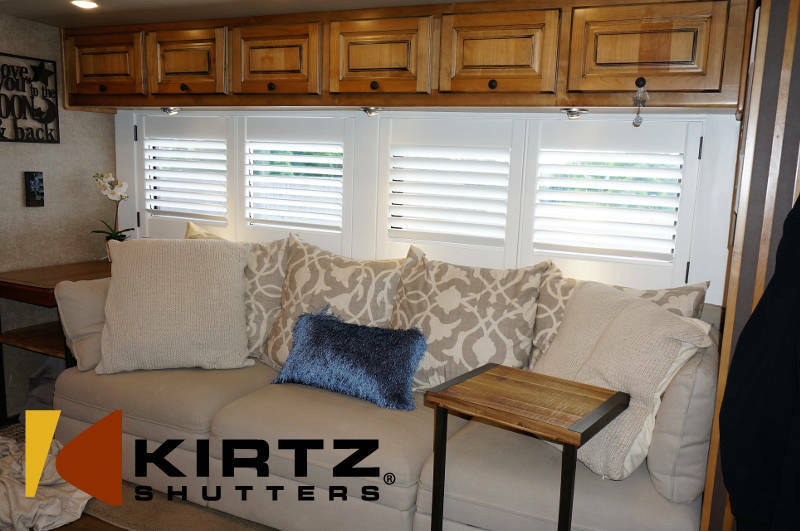 http://www.kirtz.com/wp-content/uploads/2018/09/Custom-RV-Shutters.jpg 531 800 Kirtz http://kirtz.com/wp-content/uploads/2016/04/kirtz-shutters-logo.png Kirtz2018-09-19 08:30:442018-09-22 13:56:33Custom RV Shutters!